In keeping current with the latest ADA requirements, John Curtis Design can provide you with compliant signage with a theme that matches your interior design. Specializing in custom manufacturing and being versatile in fabrication techniques and finishes in design, allows us to be creative and cost effective in application. 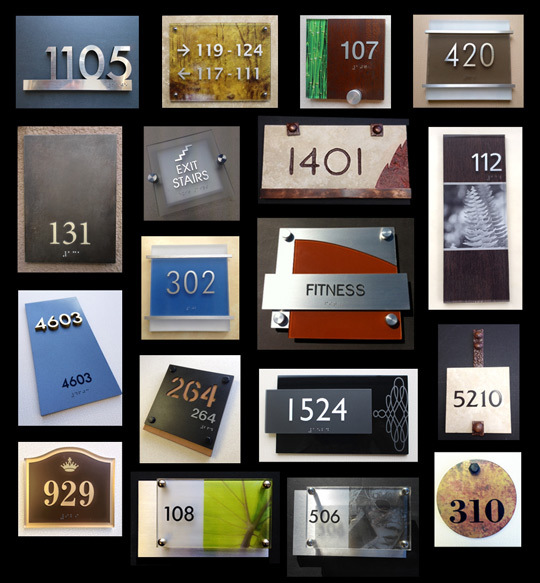 We work with your plans or site visits to develop all life safety and wayfinding signage. Bottom line, what goes where and what the messages should read.